Whether you're just looking for event registration or a complete event management solution, we have the tools to make your life easier. Click on any of the links below to explore each solution, and feel free to give us a call and we'd be happy to discuss how our services can enhance your event! Make it simple for participants to register with Running Guru's registration service. We offer a feature-rich, robust solution to help maximize participation. The key to fundraising is making it easy! 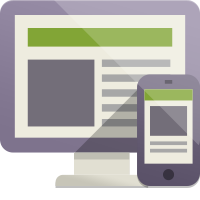 Our fundraising module integrates with our online event registration or can stand alone. Create a page with individual and packaged sponsorship opportunities and attract more sponsors to your event. Upload event results in real-time; participants find their results with advanced search features. Schedule registration and fundraising reports to be emailed to you at certain times such as hourly, daily, monthly, etc. Advanced tools like plugins and custom pages let you create the exact experience you'd like. Managing the army of volunteers needed for your event is a snap with our volunteer service. Promotion tools allow race directors to communicate directly with runners and drive traffic to their registration and fundraising pages. Eliminate hosting and webmaster fees, now you can build and host your site on our platform with powerful site building tools. Deliver coupons to your participants online. Maximize sponsor's brand exposure and eliminate waste associated with physical goody bags. With our mobile device interface, runners easily find events, get pictures and results, and make donations to their favorite charity. Understanding your data is key to successful planning and promotion. We offer powerful reports and Google Analytics integration to view traffic to your site. Leverage your brand by hosting all of our services under your domain. Offer branded merchandise in your personal online store and sell products during event registration. Save time and money ordering your race, team, and volunteer shirts! We have the best brands and styles for easy, flexible ordering of all your apparel and merchandise needs.